Poor guy. He can have some of ours. With electric mixer, beat butter and ice cream until blended (mixture will appear curdled). Add flour, sugar and salt; mix well. 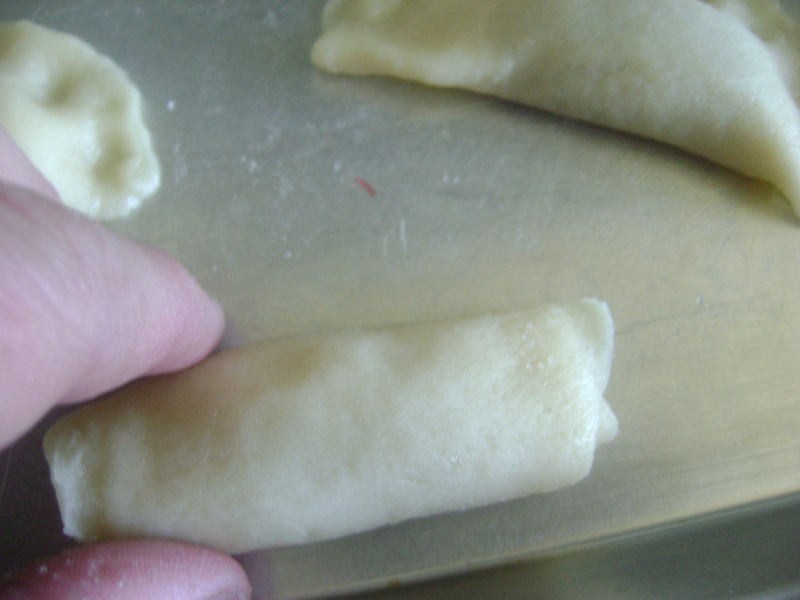 Divide dough into four portions; cover and refrigerate for 2 hours or until easy to handle. 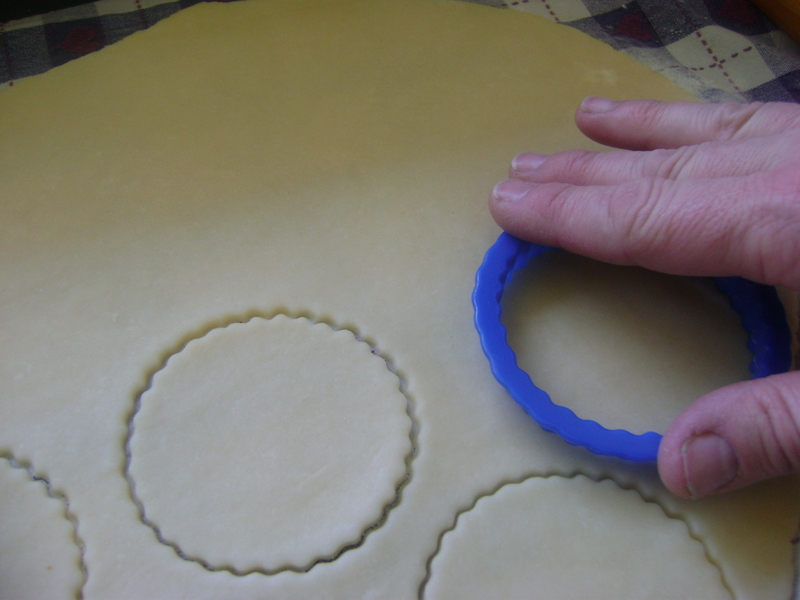 Now roll each circle into a thin oval. Place a teaspoonful of jam at the end of each oval. 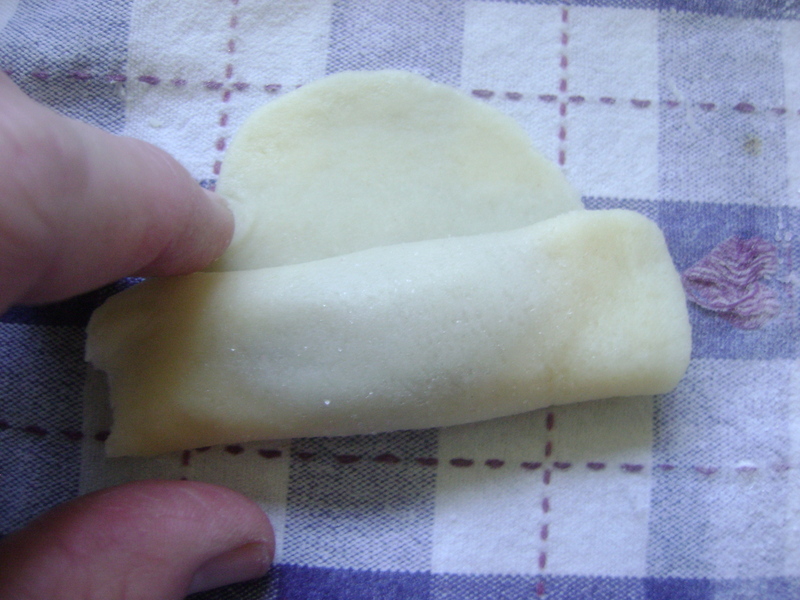 Overlap dough over filling; pinch tightly to seal. 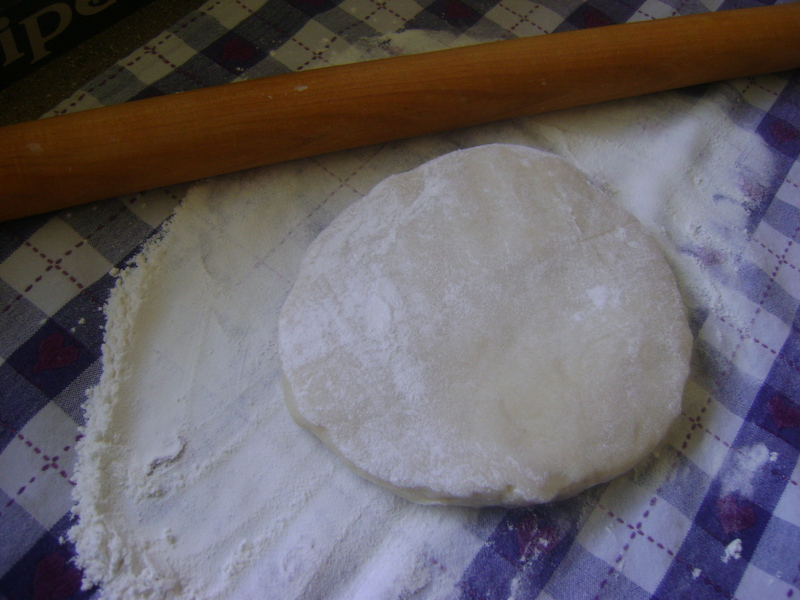 Now roll up the rest of the dough. Now, with seam side down, place 2 in. apart on ungreased baking sheets. Repeat with remaining dough and filling. 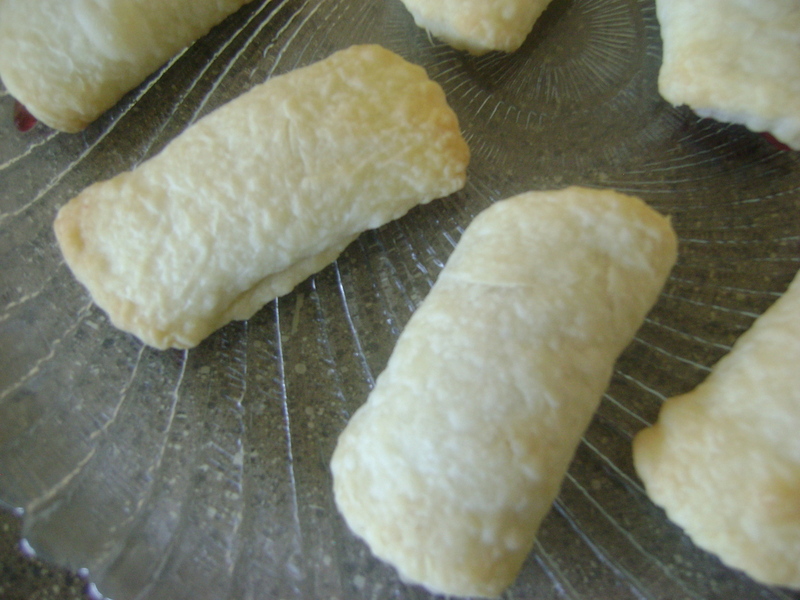 Bake at 350° for 18 minutes or until lightly browned. Cool on pan for about 5 minutes before removing to plate. Sprinkle with sugar if you want them to be sparkly. Share with the royal court. 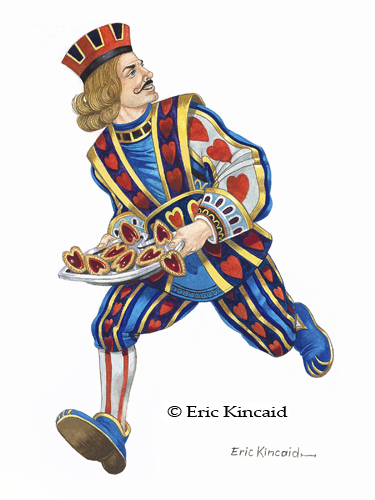 Note: No Knaves were injured in the making, or eating of these tarts. With electric mixer, beat butter and ice cream until blended (mixture will appear curdled). Add flour, sugar and salt; mix well. 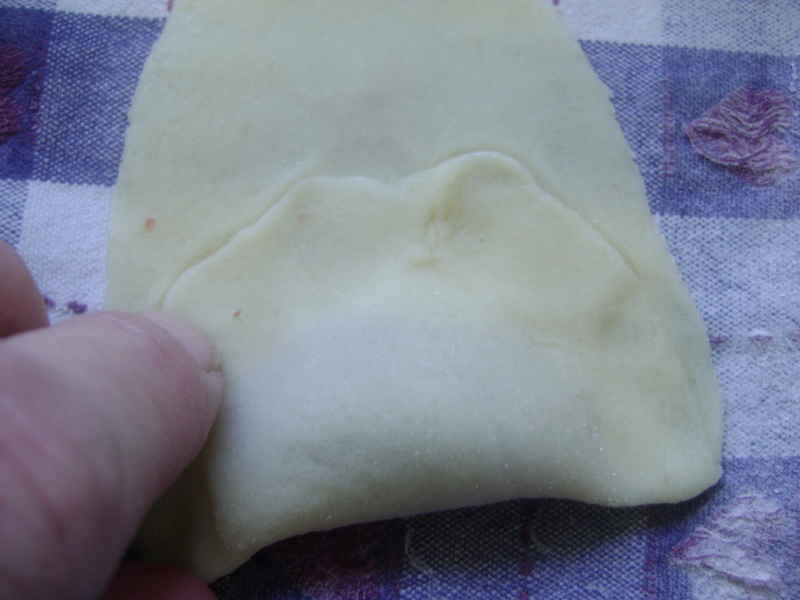 Divide dough into four portions; cover and refrigerate for 2 hours or until easy to handle. Cut into 2-in. 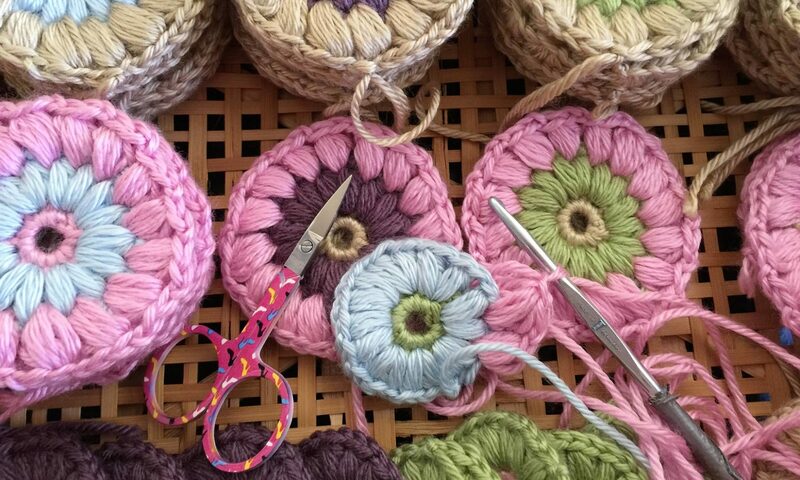 circles--roll each circle into a thin oval. 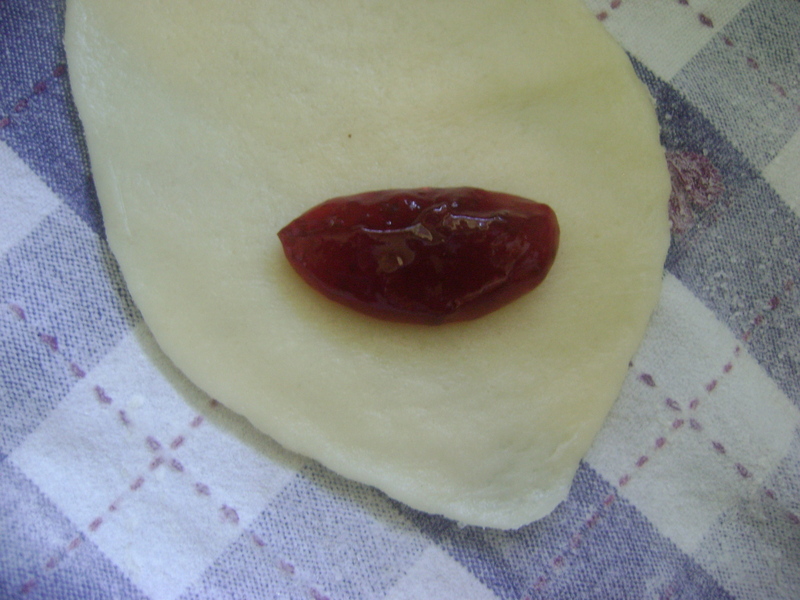 Place a teaspoonful of jam at the end of each oval. 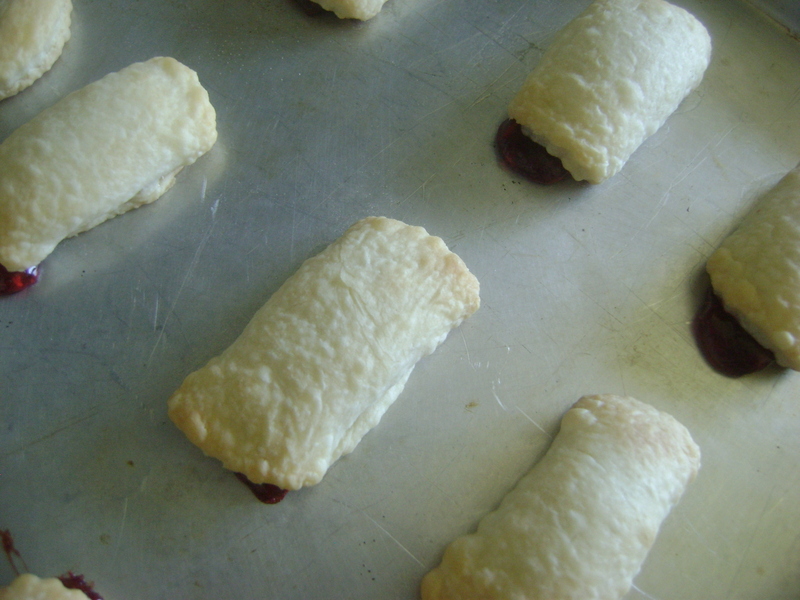 Roll up the rest of the dough. With seam side down, place 2 in. apart on ungreased baking sheets. They are delicious! And they look pretty too! OOOh, I wish I didn’t have to pack my kitchen today, or I might make those!!! they look divine! It’s a good thing you got a picture of them BEFORE I got to them… I think I ate a dozen or so yesterday!!! 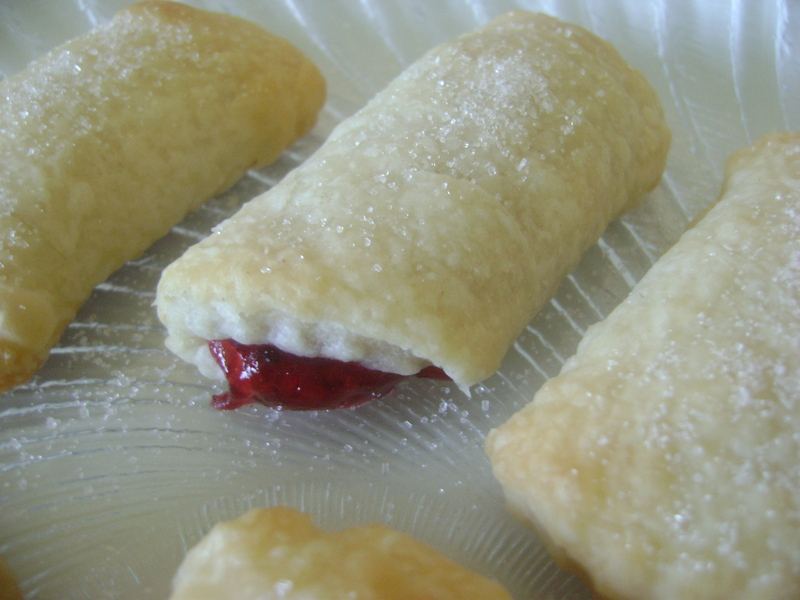 Bite-size pastries of yumminess… so good! They look amazing! Maybe after my diet, I will have to celebrate!!! Forget packing and DON’T MOVE!! We should put lemon in some of them…or Key lime something or other. That would be so dang good. Wow, only 14 more days until Dane is home. You must be beyond ecstatic. 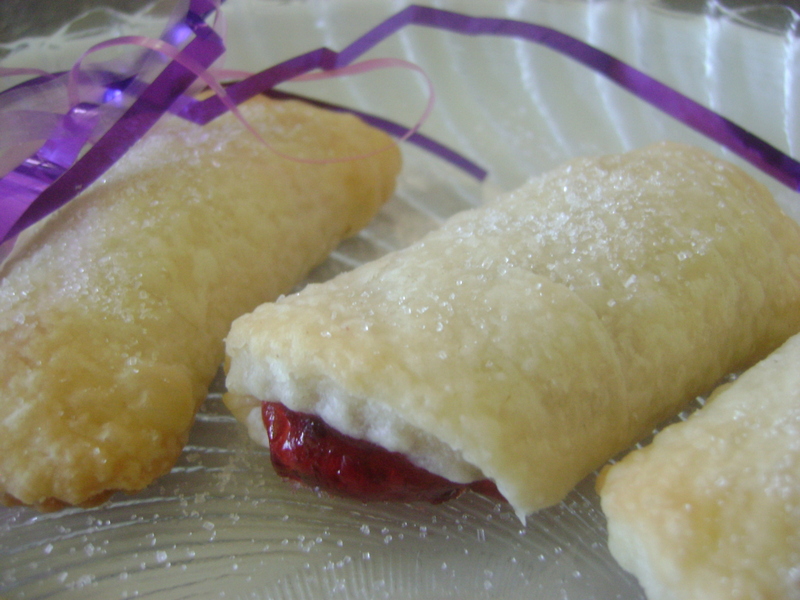 Another good excuse to make these treats. Previous PostPrevious Who’s In Charge Here Anyway? Next PostNext Can You Name That Doll?